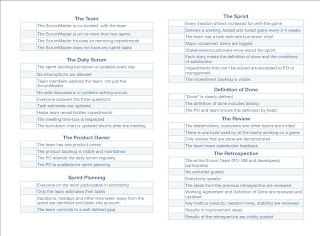 The Agile Game Development Checklists are meant to help drive discussion about the implementation and effectiveness of agile practices (including Scrum, XP, TDD and Kanban) for a team and stakeholders. This first version contains a checklist for the ScrumMaster role. Revisit how this role adds value to a Scrum Team and how that role can be improved.